Wokingham Train Station is half a mile walk away. Denmark Street car park is a short stay car park only a couple minutes walk away. It's priced at 0.70p/1hr, £1.20/2hrs, £2/4hrs (max stay) between 8am and 6pm Monday-Saturday and free outside these times. There are two car parks here, a council and non-council one so make sure you buy the ticket from the correct machine (if applicable). As I walked into nandos little did I expect to have an experience like the one I did. I chose to have the sunset burger, one that I had never had before. Not only did it have a gorgeous aroma it exploded on my pallet with a mixture of chutney and the soft bread infused with hot sauce. The chicken was succulent and moreish. Not only was I impressed but also it reignited My belief that such foods can be served by such fantastic staff. We were visiting the area for the weekend from Brighton with our two young children. We visited in the evening and were extremely welcomed by the Manager Ramesh. He could see the children were growing tired of the wait for a table so he went out of his way to accomodate us. The food was very quick and the staff could not do enough for us. We are regulars to Nando's and were very impressed with the speed of service and how hot the food was. Thank you very much. 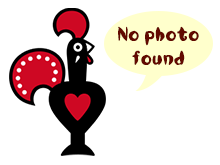 Really good Nando's experience, clean, well furnished restaurant with a pleasant atmosphere. The food was great and came really quickly. The staff were all really nice, especially LUCAS, who was very friendly and welcoming - funny but still professional. Someone dropped a bottle of sauce and the glass smashed, I was impressed by how Lucas managed the situation quickly, safely and thoroughly. Visit Wokingham branch around twice a week and always greeted as a regular and treated well. Was in Aldershot for two days and Wokingham Nando's was merely a 25 minute drive away, so off I went! One year after opening and we are certainly not dissappointed. Always loved Nandos but think, Wokingham have done exceptionally well. The staff are always friendly and pretty switched on, haven't seen a grumpy face or lack in customer service just yet. The place is run effeciently and even in busier times it seems to run very smoothly. as I am a regular customer I get the little extra recognition but whoever we take there also comments on the friendliness and efficiency of the restaurant. Walked in wasnt greated by anyone, stood for a while and still nothing, so i thought forget this im getting a take out, two people on tills but seem to be VERY slow with taking in the orders, till staff seemed moody when speaking to her, she said 15 mins wait i waited about half an hour! she handed me bag when done didnt go through it with me so when i got home it was lemon and herb not medium! i come nandos twice a week! but i shall be avoiding going back to wokingham!